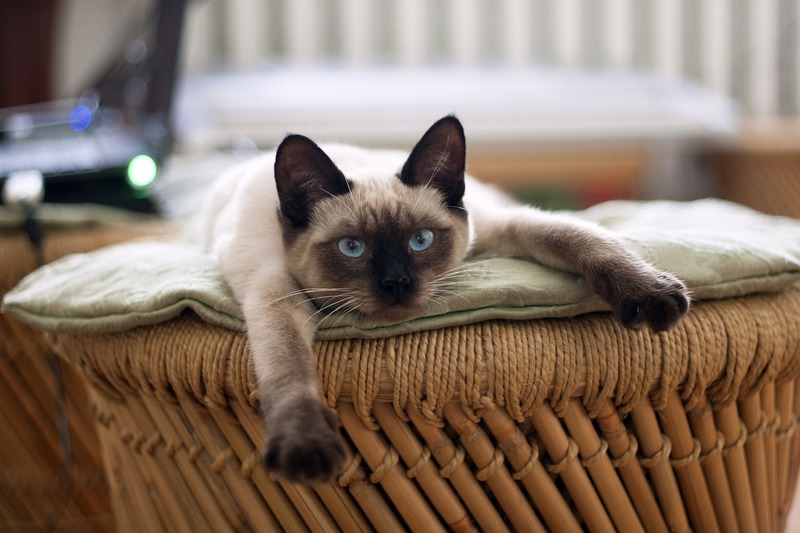 Siamese cat photo for representational purposes only – not a photo of the now-legendary Felix Domesticus, Chester. Jack H. Hetherington was a professor of physics at Michigan State University in 1975, when he finished what would become an influential and often-cited physics paper. The academic writing, entitled Two-, Three-, and Four-Atom Exchange Effects in bcc 3He, was an in-depth exploration of atomic behavior at different temperatures. It would have flown over the heads of most lay people, not to mention cats. He was all set to send it to Physical Review Letters, which today describes itself as “the world’s premier physics letter journal.” However, before he dispatched it, Hetherington gave the paper to a colleague to get one last set of eyes on the piece. This is when he ran into a strange problem. Hetherington had used the royal “we” throughout the paper. As his colleague pointed out, Physical Review Letters generally only published papers using plural pronouns and adjectives like “we” and “our” if the paper had multiple authors. Hetherington [later] wrote that after giving the issue “an evening’s thought,” he decided the paper was so good that it required rapid publishing. Unwilling to go back and replace the plural voice in the document, he did the next best thing and just added a second author: his Siamese cat, Chester. Of course just listing “Chester” as a co-author probably wouldn’t fly, so he invented the name F.D.C. Willard. The “F.D.C.” stood for “Felix Domesticus, Chester.” Willard had been the name of Chester’s father. Adams: Unrelated to this post– A culinary recommendation for you… try out The Kraus Haus (formerly The Heritage Room) on Clover Valley Road, a mile or so south of the intersection of Willis Ray Rd and Clover Valley in Whitewater Township. Currently, serving a Tapas-style menu (generously portioned Tapas). Open Thurs, Fri, Sat 5-9pm for now. Good stuff. Thanks for the recommendation – much appreciated – I’ll be happy to visit. A Tapas-style menu sounds inviting.